It is Christmas Eve and we’re prepping the house and baking and cooking a TON! I’m literally giddy with excitement!! I love Christmas!!! 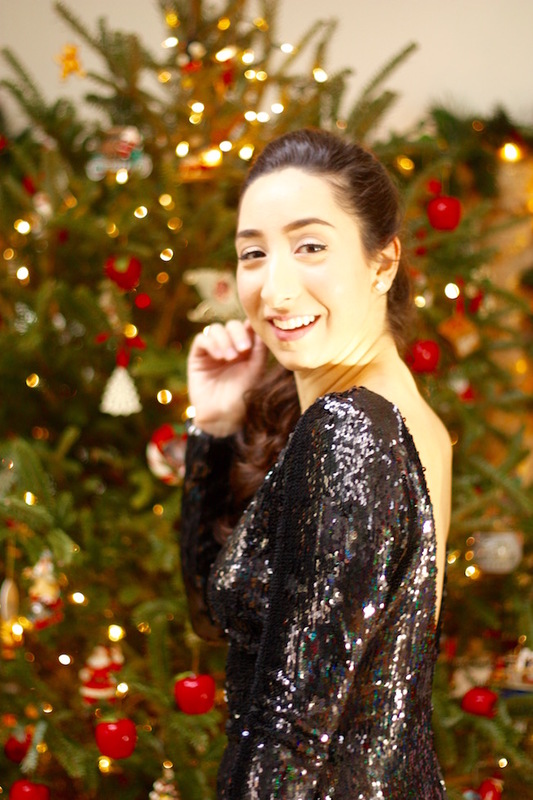 Holiday party style isn’t always about sparkles and sequins, but for me, New Year’s Eve is! There’s just something so special about dressing up in sparkle and shine for a party or gathering at this time of year. When I saw the back of this dress in Nordstrom, I had to try it on and I fell in love. An open back is always just such a stunning feature on a dress! Especially this one. It’s extremely fancy and glamorous being skin-tight and covered in sequins but without the back I don’t know if it would be the same. It’s just enough to not have to add much, just some classic heels and a clutch or cross body like the one I have on and you’re set. Keeping jewelry simple is great with the high neck and long sleeves. Just some sparkly studs for another pop of shine! 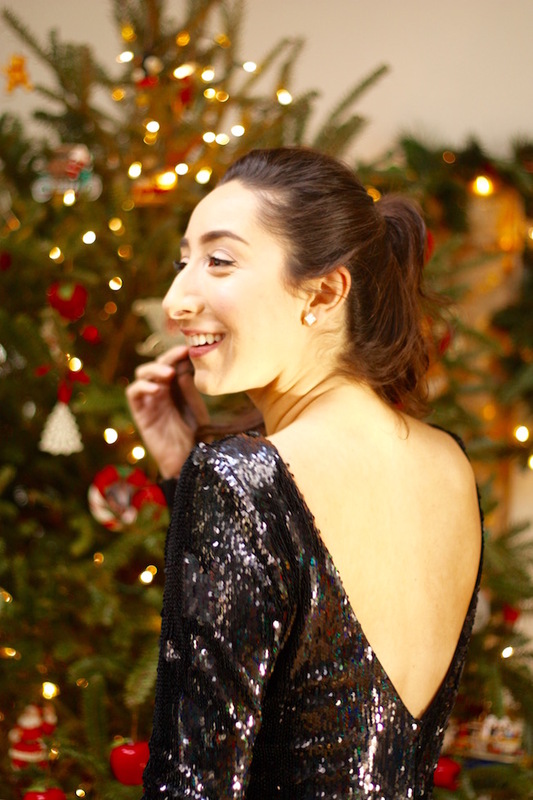 Nordstrom seriously has the most amazing selection of New Year’s Eve dresses, I had a hard time choosing, but the back on this one definitely did it for me!